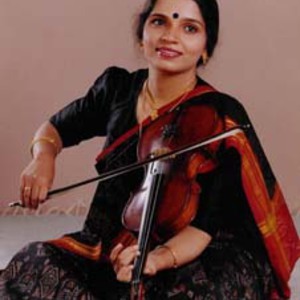 Ramnath lives in Mumbai, but was born and brought up in Madras, in a musical family which excels in North Indian as well as in South Indian classical music, and which has produced another three world-famous violinists: her guru and aunt N. Rajam, her uncle T.N. Krishnan, and her cousin Sangeeta Shankar. From the beginning Ramnath played a full-sized violin; her first was given to her by her grandfather when she was two years old. In her youth she was taught by her aunt, N. Rajam. From the end of the 1980s she began studying in Mumbai under the singer Pandit Jasraj. Besides the classic North Indian raga, Ramnath plays much fusion. She has played in various projects with musicians from the world of jazz, African music, flamenco, and Western classical music. She leads her own fusion-band Yashila, and has played with Spanish flamenco-guitarist Eduardo Niebla. Another of her fusion bands is Four Elements with the Dutch jazz guitarist Jan Kuiper, tabla player Niti Ranjan Biswas, and the Moroccan percussionist Rhani Krija.